So cute! This is the ideal project to crochet, especially for today! 🙂 These two little dogs will be very easy to make when you follow the free pattern and tutorial. The yarn is fuzzed up using a dog slicker brush which gives them a felted look and their unique color is added with Sharpie markers! You may like to use these techniques for your next projects as well! For more free designs every day follow us on Facebook. Link to the free pattern is below. 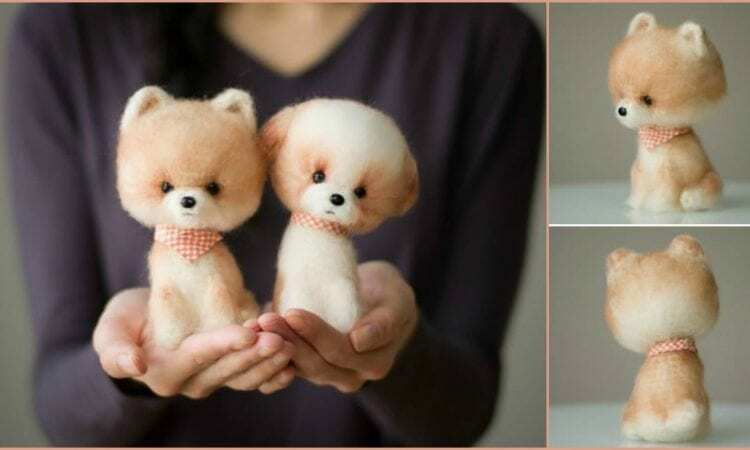 Amigurumi Little Dogs – Free Crochet Pattern is >>here<<. Don’t forget to Like us on Facebook. Share your ideas and your work on our Facebook group! This pattern is NOT FREE! This user should be removed or at least this listing. She merely supplies a LINK to her “INEXPENSIVE” PATTERN ON ETSY AND CRAFTSY! Please pay more attention to these listings. Hi Paul, you are mistaken, just read more carefully. Full pattern is available at the linked pattern site, just scroll down. All you read is that you can buy the PDF version on Etsy and Cratsy.